Eric Metaxas has already established himself as an excellent biographer with an attention to detail and writing style that is rarely surpassed today. 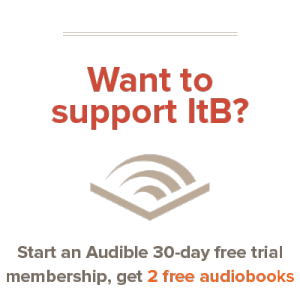 His best-known works are Wilberforce and Bonhoeffer, two meaty biographies that punch deep into their subject’s lives. Following these monster volumes, Metaxas turned his attention to a smaller, condensed book withbiographies of seven great men, titled Seven Men. Now, he’s back with a repeat performance for women. Seven Women and the Secret of their Greatness is a short, readable biography collection that pulls seven inspiring women from history and profiles them each in a lengthy chapter. With Metaxas’ growing reputation behind the book, I had decently high expectations going in. Seven Women covers the lives of Joan of Arc, Susanna Wesley, Hannah More, Saint Maria of Paris, Corrie ten Boom, Rosa Parks, and Mother Teresa. While some are givens, other choices are more unexpected, and a few shine welcome light on characters often forgotten by history. 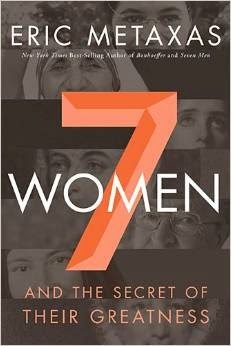 Hannah More and Corrie ten Boom highlight Seven Women. While most of the other biographies are thought-out and thorough, these two chapters pierce the hearts of their subjects very effectively, shedding light on two characters in history who deserve more attention and recognition for their accomplishments. Drawing from his in-depth research for Wilberforce, Metaxas’ chapter on More is well-detailed and sheds light on someone who is often overshadowed by her contemporaries. Hannah More was Wilberforce’s friend and partner in the fight against slavery and towards social reform, and championed social change in the upper echelons of London, as well as in the field of education. Metaxas does an excellent job featuring More on her own benefits, although the chapter can veer in to an extended advertisement for Metaxas’ longer biography on Wilberforce. Corrie ten Boom is the other highlight of this book. Though her story is more well-known, Metaxas’ chapter provides a piercing glimpse into her heart and her convictions. Her Christian faith shone as an example in Holland throughout World War II. Again, I assume that ten Boom’s chapter is most developed because of Metaxas’ previous research into the life of Dietrich Bonhoeffer. It’s a shame that Metaxas’ strongest chapters lean on his two previous biographies, but it’s understandable, and a treat for his readers, since those two chapters are the meat of the book. Honestly, I’m not entirely sold on the compilation-style biographies that are becoming fashionable. They’re a good look at a broad variety of people, but offer little depth into each person’s life beyond the basic events. It’s clear that Metaxas’ strongest chapters stemmed from his previous extensive research: I would like to see even more of that, in a standalone book, than I would a compilation. While Seven Women is definitely not a waste of time, I feel that these exceptional women would be better served by individual books that dive more deeply into their lives. Unfortunately, Metaxas is only one writer, so this may be the best we get. I’d recommend you check out Seven Women as a great introduction to these historical figures, but I would also recommend that you pick one or two from this book that stand out, and invest the time in a longer, more in-depth biography. Their lives are worth the study, and it will give you a worthwhile look.